This is 5 side/tea vintage plates in the lovely blue and white pattern Indies by Johnson Brothers. The plates are in very good condition with no chips or cracks. There’s a bit of crazing on some of the plates but it’s not too noticeable due to the pattern. The plates are 17.5cm/6.75” diameter. Vintage Broadhurst Staffordshire Ironstone Blue/White Side Plate: English Scene. In great vintage condition. No chips or cracks. No crazing. See all the photos for proof of condition. Measures 17cms diameter approximately UK postage only. Use global shipping programme for international postage through ebay distribution centre. Will be proof of postage and GPO tracked. Postage and packaging included in the price. 6 X VGC RIDGEWAY - WHITE MIST VINEWOOD - DINNER PLATES. Vintage Johnson Brothers Ironstone ‘Mill Stream’ Blue & White 7” Plate. 1970’s. 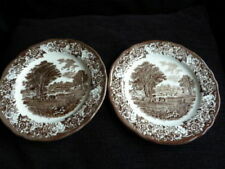 I am selling a vintage Johnson Brothers Ironstone ‘Mill Stream’ pattern plate which dates to the 1970’s. The Blue & White plate features the Mill Stream scene taken from a genuine hand engraving. The plate has been used but is in good condition with no chips or cracks. It measures approx 7” in diameter. If you require any further information, please ask. Thank you for looking at the listing. Staffs Iron Stone Chef Ware Blue White stripe jug. In good used vintage condition with no Chips or cracks. I would think this is about a pint. Lots more. Available so do look at my other listings. Four Retro Vintage Steak Plates. English Ironstone Tanya Design. Slight brown mark on one plate as shown in picture. Royal Victoria Rose Bouquet Bowls. 5 x Cereal or Dessert Bowl. ROSE BOUQUET. ROYAL VICTORIA. Approx 6" (15½cm) dia. In very good condition, there are no obvious signs of use, one bowl has a little age related crazing on the inside and underside. This version is SLENDER COLUMBINE. The'Buy it now' button has been replaced with 'Add to basket'. This version is the Woody Nightshade one. The'Buy it now' button has been replaced with 'Add to basket'. ‘STAFFORDSHIRE UNDERGLAZE ENGLISH IRONSTONE TABLEWARE LTD’. SERVING BOWL. Set of SIX Johnson Brothers Ironstone DESSERTBOWLS Snowhite Rose Pattern -. Stems and leaves with pink rose buds on white ground. Height : 3.5cm /13/8". Retro 1970s Johnson Bros Snow white Dinner set in mint condition.4 Dinner Plates.4 Side Plates.4 Cereal Bowls.1 Serving Plate.1 Serving Jug.1 Casserole Dish with lid. Retro 1970’s Biltons Staffordshire Ironstone Cereal/Dessert Bowl. Floral Design. Retro 1970’s Biltons Staffordshire Ironstone Cereal/Dessert Bowl. This is in the Dog Rose Version. The'Buy it now' button has been replaced with 'Add to basket'. 'Snowhite'. 3 Fabulous ironstone plates in an orange and brown bold retro flower design. by Johnson Bros. The pattern is of sunflowers in predominantly dark green and yellow on white base. Great for a collector or for resale. See you Soon. English Ironstone Pottery - Stoke on Trent, Staffordshire England. Large Dinner Plates x 2. Original 1970's. 25cm across. This is the TRAILING BINDWEED PATTERN. The'Buy it now' button has been replaced with 'Add to basket'. 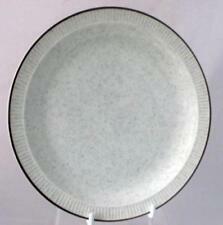 Rare 60's 70's Retro Johnson Bros Sherbrook Lunch Salad Plate 8 3/4". They are in the brown and mustard colourway (not blue) and date to the late 1960s. One saucer has an old hairline on the underside. It is barely detectable on the upper side. The saucers have feint scratches and general rubbing at the cup well etc all consistent with their age and use. WATCH OUT HUMPHREY'S ABOUT UNIGATE DAIRIES MUG 1970's. HUMPHREY MUG HANDS OFF. IRONSTONE MADE IN ENGLAND. Vintage Johnson Brothers Willow "Custard Jug". 14.2cm Tall. Great Condition. As per title and photos. A nicely decorated dinner plate by Broadhurst with a blue and white 'River Landscape' pattern, made to celebrate 'Thomas Gainsborough's 250th Anniversary'. Born in 1727, River Landscape was painted by Gainsborough in 1770. In very good vintage condition, has some crazing on the inner rim and some light scratches from use, see the photo's. Please note I had to use lighting to photograph the plate, the blue is deeper than it looks in my photo's. Measures approximately 24.5 cm (9 and 5/8 inch) across. They are in the retro Fashion series c1960s-70s. There is general light crazing to the glaze and moderate utensil marks. There are also feint scuffs and scratches consistent with normal use and storage wear. 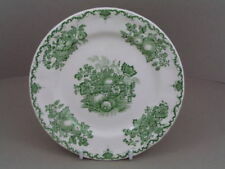 Vintage Set 4 Crown Essex Capri Pattern Side Plates, 7" Diameter. Factory back stamp as shown to bases. 1 x Cereal or Dessert Bowl. Royal Victoria Rose Bouquet Bowl. ROSE BOUQUET. ROYAL VICTORIA. 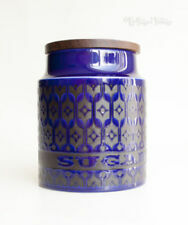 8 Sided Polygon Shaped Blue on White Plate – Underglaze crackle and chip on reverse. No great age dishwasher safe. Ceramic tableware – Johnson Brothers Stoke on Trent ENGLAND. Acid Resisting Ironstone. Johnson Brothers Ironstone coffee pot set in 1970s pattern, Cabana.